Approx 250 eeds for sowing indoors from February - April. An improvement on older strains of celeriac - Monarch is smoother skinned and the flesh has a better flavour and texture. Easy to grow it's popularity in the kitchen is on the increase due to it's flavour and versatility. Cooked or raw, the nutty celery like taste is delicious. 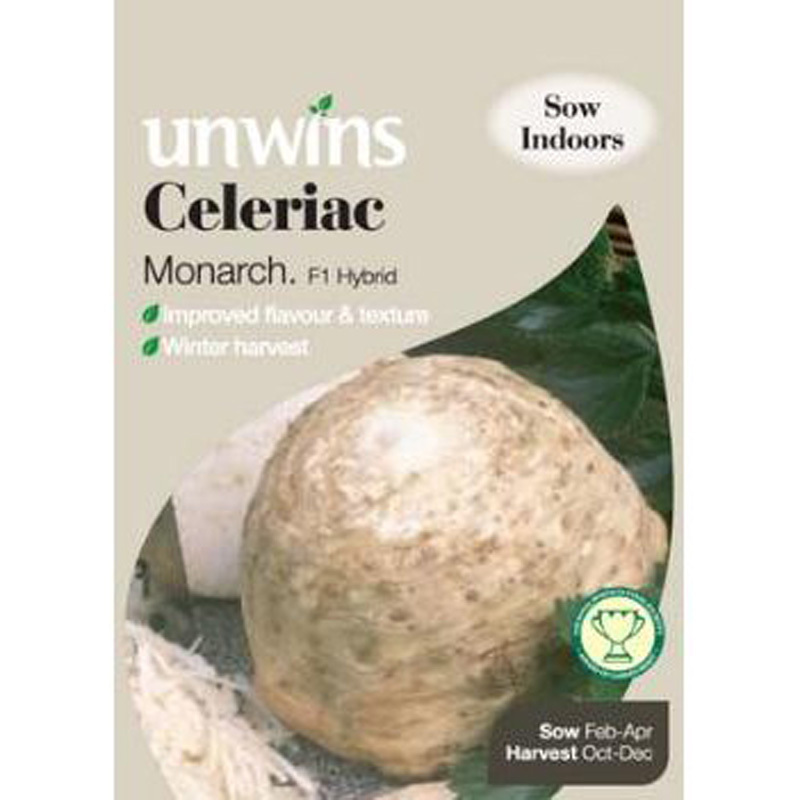 If you would like further information about Unwins Gro-sure® 'Monarch' Celeriac' Seeds, please contact our garden centre at Shawbury just outside Shrewsbury in Shropshire, by calling 01939 251315 or emailing.